Karen founded International Bridges of Justice in 2000 to promote systemic global change in the administration of criminal justice. A former public defender, Karen first developed her interest in the cross section of criminal law and human rights as a Thomas J. Watson Fellow in 1986, after observing Southeast Asian refugees detained in a local prison without trial; thousands of prisoners of all ages being held without trial, often having been tortured into making so called confessions. In 1994, she moved to Cambodia to train the country’s first core group of public defenders and subsequently served as a United Nations Judicial Mentor. Under the auspices of the U.N., she trained judges and prosecutors, and established the first arraignment court in Cambodia. In the initial stages, she negotiated groundbreaking measures in judicial reform with the Chinese, Vietnamese and Cambodian governments. Ahmed Salem BOUHOUBEYNI is born on September 12, 1962 in Boutilimit, Mauritania. He is a lawyer at the Paris Bar and a previous Bâtonnier at the Lawyers National Order of Mauritania (ONA) as well as Honorary President of the Conférence Internationale des Barreaux (CIB). He has written several reports about justice in Mauritania. He was also appointed as the head of the trial observation mission in Chad on behalf of the International Organization of La Francophonie, of the European Union and in Turkey on behalf of the French National Council of Bars (CNB). Bouhoubeyni is the co-founder of the Mauritanian Moot Court Competition organized by the Institute of Human Rights of Caen and a member of the Mauritanian Human Rights Association. Following the World Organisation Against Torture (OMCT) meeting in Tampere, Finland, in 2011, he was in charge of monitoring recommendations for the North Africa training workshop. 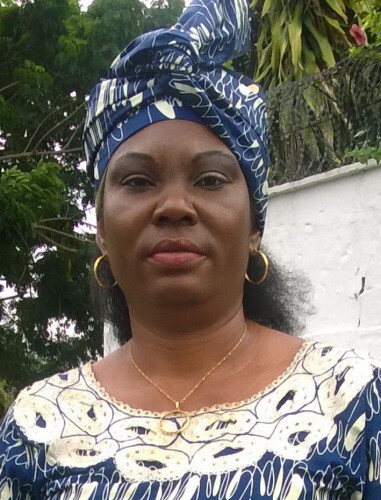 Nathalie Nansha Mukendi Muganguzi is a senior lawyer who has been a member of the Kinshasa/Gombe Bar Association for 14 years. A committed human rights defender, Ms. Muganguzi has for over a decade worked in various positions including Assistant Director of the Congolese Monitoring Center for Human RIghts (OCDH) in 2006, Director of the OCDH in 2007, President of the OCDH from 2007 to 2010, and as President of the DRC Equitas Network since 2010. Ms. Muganguzi regularly contributes as an instructor, moderator and rapporteur for various training seminars in human rights. Ms. Muganguzi holds a specialist diploma in Discrimination, Health and Human Rights from the University of Geneva, Switzerland and a Law Degree form the University of Kinshasa, DRC. Mr. Philippe Currat is a lawyer in Geneva. 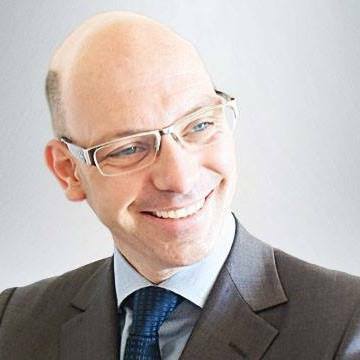 He is a member of the Geneva Bar Association, the Swiss Federation of Lawyers (FSA) and the French Society for International Law (SFDI) and the Diplomatic Club of Geneva. He has been a member since 2010 and Vice President since April 2014 of the Human Rights Commission of the Geneva Bar Association, where he oversees legal issues related to the monitoring of detention conditions, migrants rights, asylum seekers rights and the setting up of a pro-bono platform. A member since 2009 and General Secretary between December 2012 and February 2017 of the International Criminal Bar (ICB), he works for the recognition of an efficient and institutionalised defense in front of the International Criminal Court (ICC). He is a frequent visitor to the Hague where he meets states representatives, international court bodies and NGOs. He also represents the ICB in the legal team of the Coalition for the International Criminal Court (CICC). Mr. Currat is a professor in the Faculty of Law at the University of Strasbourg (France) and at the University of Lille 2, where he teaches international criminal law in the LLM programs. Furthermore, he regularly lectures at other universities on international criminal law, notably at the Congo Protestant University in Kinshasa since 2012 and the University of Goma since 2015. He has taught training seminars in various universities in departments of law, political science and philosophy, as well as at the École Militaire in Paris and the Ecole de Maintien de la Paix Alioune Blondin Bèye de Bamako in Mali. Philippe Curat was also legal counsel to the public prosecutor of the Special Court for Sierra Leone (SCSL) in Freetown. Mr. Currat is a Doctor of Law from the University of Geneva. A renowned lawyer, Mr. Rufyikiri has defended hundreds of accused persons – often taking on his own resources to assist defenceless persons – and sometimes risking his own freedom. His brief career as a public prosecutor taught him how an unbalanced justice system where prosecution is one-sided disservices the ideal of fair justice system. As the former first counsellor at the Embassy of Burundi in Algeria and later Tanzania, he also brings a significant experience in international relations. Mr. Rufyikiri is the former President of the Burundi Bar Association. His leadership has led him to work closely with the United Nations Integrated Office in Burundi to draft a bill outlining the legal framework for legal aid (Loi portant cadre légal d”assistance judiciaire et d’aide juridictionnelle), which has been submitted to the Ministry of Justice for review. Because of his constant fight for the rule of law, the independence of justice, and the independence of lawyers, Mr. Rufyikiri has been imprisoned on many occasions but has always been acquitted. These difficult experiences have shaped his personality, reinforced his natural leadership qualities, audacity and unwavering dedication to human rights and inspired him to fearlessly campaign in favour of the rule of law in Burundi. This struggle has led him to prosecute the State of Burundi at the East African Community Court in Arusha. The trial that he won included the annulment of his arbitrary revocation from the bar association. Mr. Elkaim graduated with a Degree in Law from the University of Lausanne in 1992. Becoming a lawyer in 1994, the following year he founded the law firm , Reymond, Loroch et Elkaim. Mr Elkaim has vast experience in civil and criminal justice, Business Law and Inheritance Law. 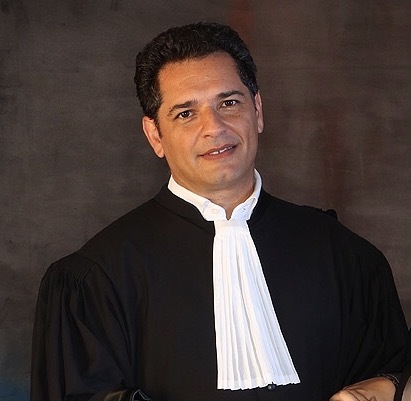 He has held various positions in lawyers’ associations to become in 2014-2016 the President of the Bar Association of the Canton of Vaud (OAV). He is intensely involved in the civil society and more specifically in the fight for the respect of human rights in Switzerland and abroad. Mr. Elkaim was President of the International League against Racism and Anti-Semitism (LICRA) from 2004 to 2008, founder of the association CoExist and observer of the mobile court hearings in South Kivu (DRC). He is President of the Commission for Human Rights of the OAV and a Board Member of the Conférence Internationale des Barreaux (CIB).